The experience of a new culture is never complete without trying traditional food. That’s one of our favourite activities. 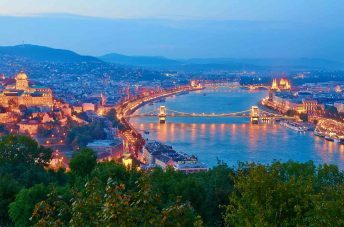 Since we’ve been to Vienna the countless number of times, we’ve tried food in many many restaurants and thus we can tell you where you will not regret giving a certain amount of money for a nice Schnitzel or Sacher cake. We bring you the list of 7 best places to eat in Vienna. If you’re reading this blog it probably means you’re about to visit Vienna, so don’t forget to download our Cultural Places App to help you navigate through beautiful Austrian capital. Let’s start tasting some great food in Vienna’s restaurants. 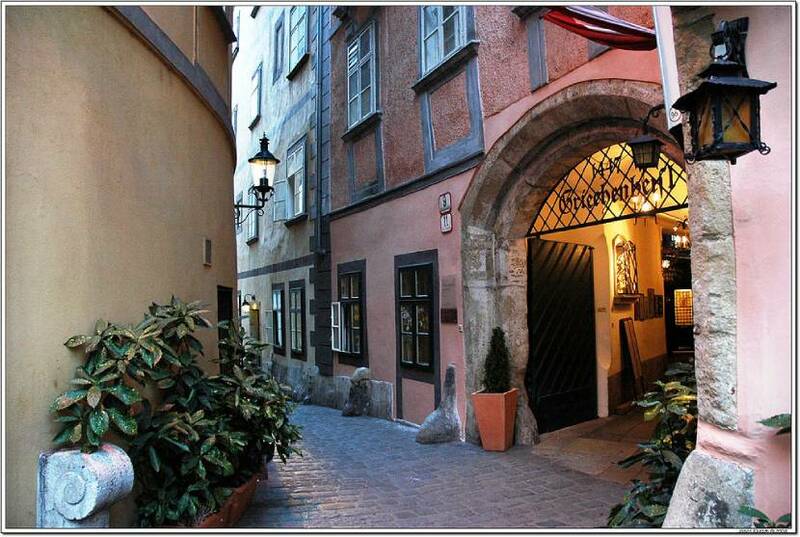 If you want to experience something really special go to Griechenbeisl – the oldest restaurant in Vienna. It dates back to 15th century and has that medieval feel and is very popular because of that so we weren’t very surprised with the crowd. The restaurant has several different dining rooms, the garden and an amazing wine cellar. Many famous people, such as Beethoven, Brahms, Schubert and Strauss, visited Griechenbeisl and you will see photos and signatures everywhere. The place is very romantic and authentic – be sure to eat here at least once. You already know that you have to try the famous Austrian sausages – we’re about to show you where. 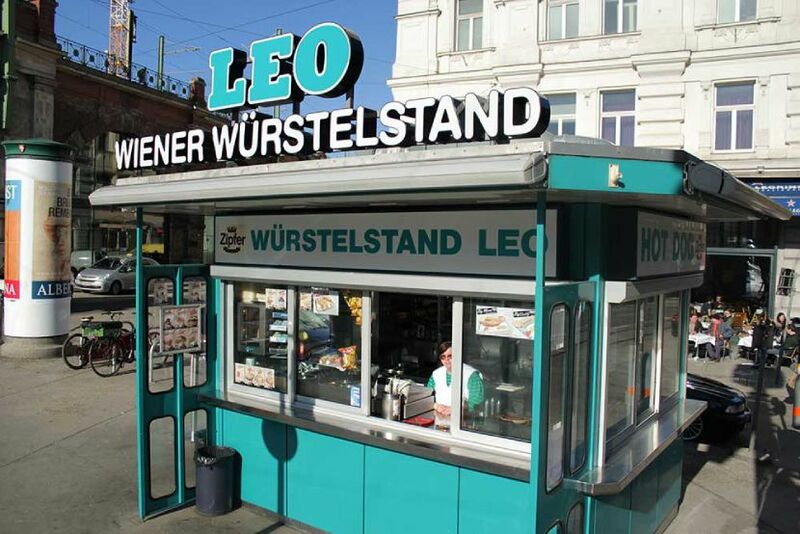 One of the best sausage stands is Leo’s Wurstelstand and it’s also the oldest sausage stand in Vienna. You’ll find a variety of sausages, sauces and beers there and you’ll enjoy no matter what you decide to have. It’s a perfect place for a late-night snack after a night out. When you are in Vienna you have to eat the famous Sacher cake and one of the best places to do so is Café Sacher. Just order Original Sacher Torte mit Schlag and you will get chocolate cake with a layer of apricot jam, covered in dark chocolate icing and with whipped cream on the side – it is just delicious. You have to wait a little (or a lot) to get a table in this place but it’s worth it. 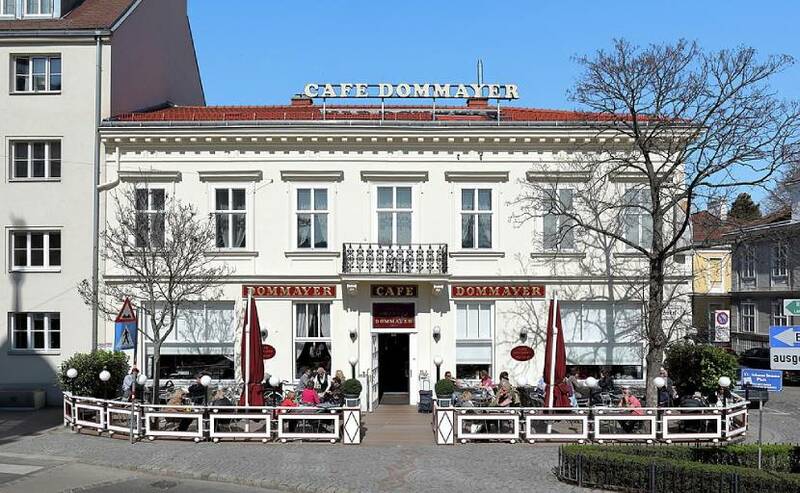 Dommayer is one of the most traditional Viennese cafes and that’s also where you can try Sacher cake. Also, if you’re hungry, you can get a full meal, not only coffee and cake. 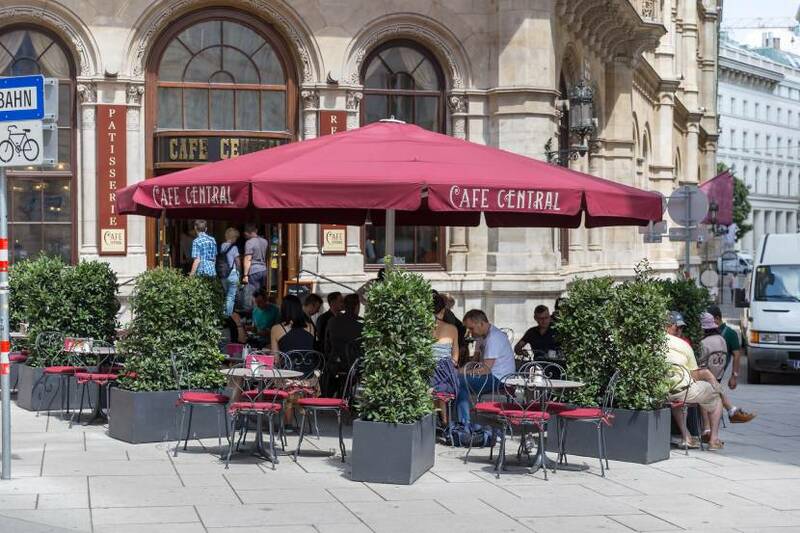 You’ll enjoy your walk to this café, too, since it is located in a very nice neighbourhood – Strauss and Wagner both lived there. The place is located near the Schönbrunn Palace, so it’s great for a coffee/lunch break after your visit there. Another café with amazing sweets but less pricy than other places on our list. Sacher cake that we had here is also pretty great, but we recommend trying Mozart cake – a chocolate cake with a layer of pistachio marzipan and nougat filling, covered in chocolate fondant. It’s amazing, especially if you’re having a cup of coffee with it. Aida has multiple locations all over the city, so you can have a coffee break wherever you are. 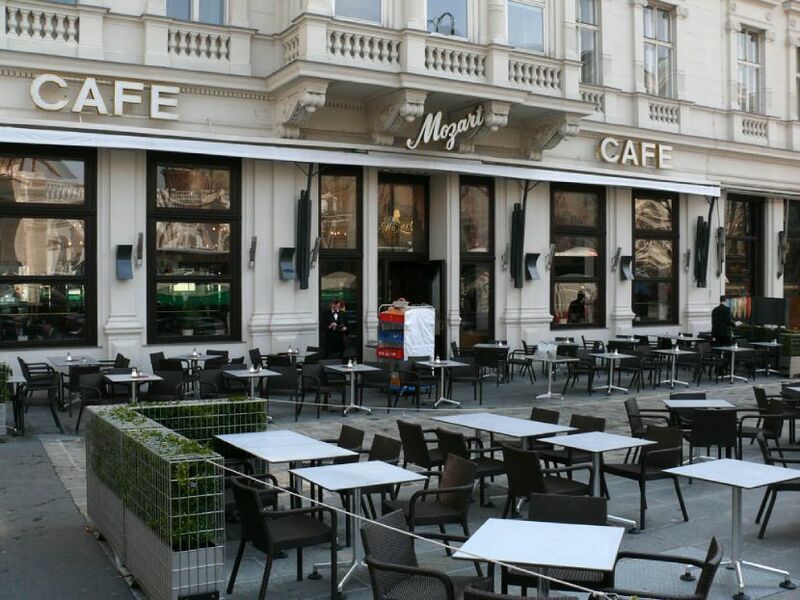 Café Mozart is a traditional, 200 years old Viennese café. 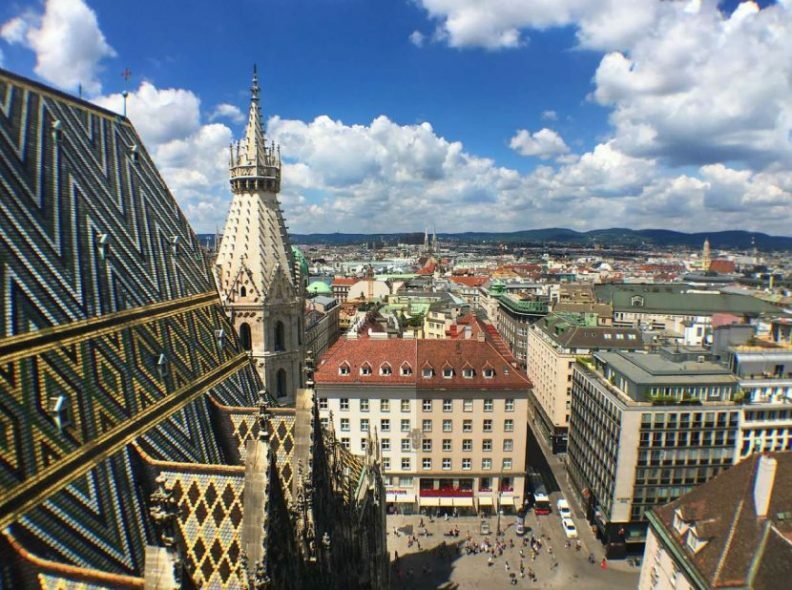 It’s located in the heart of the city so it’s a perfect stop after your visit to Albertina Museum, Vienna State Opera, Austrian National Library or the Vienna Secession Building. It’s a place where you can try different traditional Viennese pastries such as Apfelstrudel, traditional Ring Cake or Sacher cake. It’s also a great place for a nice breakfast. Café Central is also an old coffee shop, dating back to 1876. 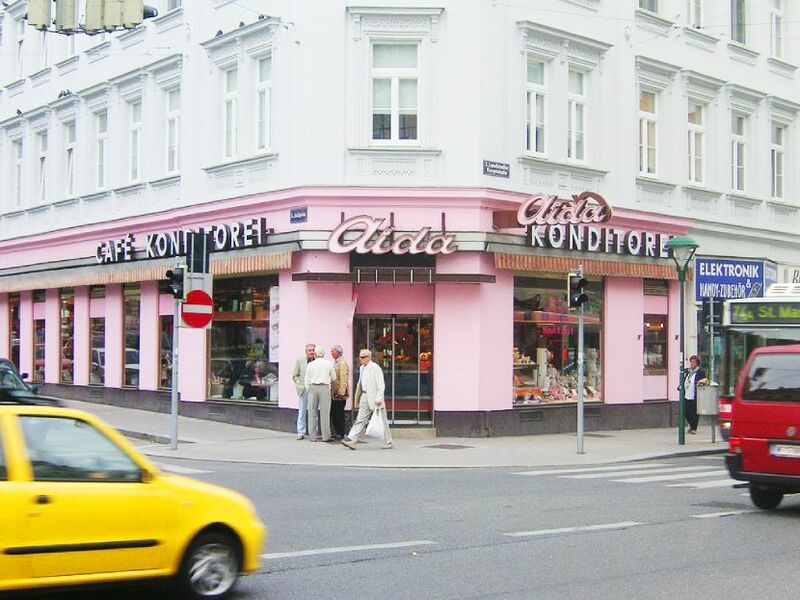 It was a popular meeting point for famous artists, politicians and scientists such as Arthur Schnitzler, Sigmund Freud, Peter Altenberg and Leo Trotzki and they are some of the reasons this Café became so popular. The building is very nice and the café’s interior, too. Plus, there is live piano music every day starting at 5 PM. 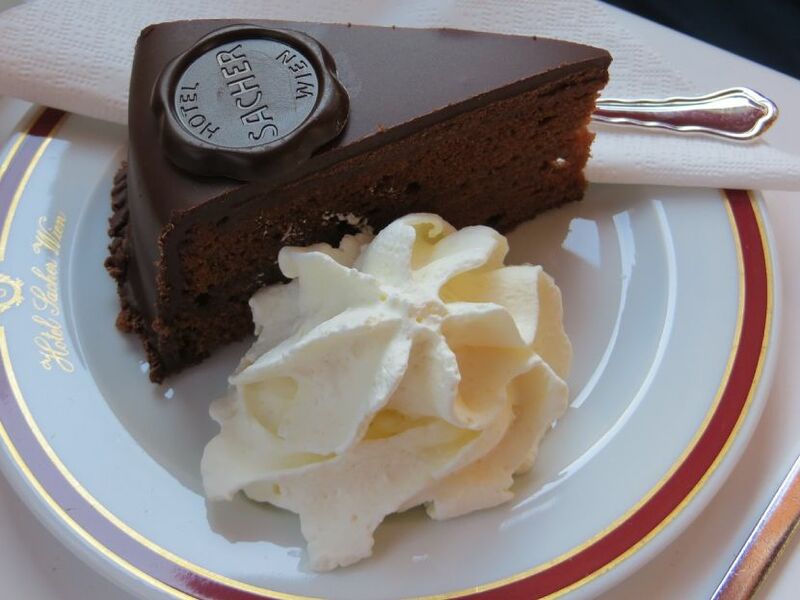 Café Central is a place where we had our first original Sacher cake and the best one. This is our favourite place in Vienna for sure. What we loved the most about these places is that they’re very old traditional Viennese buildings and the fact that seriously famous historical people were once sitting there. 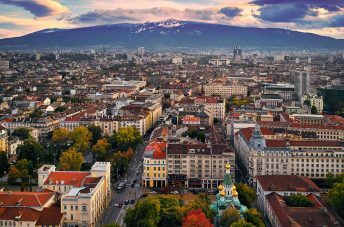 So, if you’re in Vienna you have to visit some of these places and taste traditional Schnitzel, Wurst and, of course, Sacher cake and coffee.